Jacqueline and her husband Joseph moved onto their biodynamic farm in southwest Washington, USA in 2001 and she got her first hives soon after. 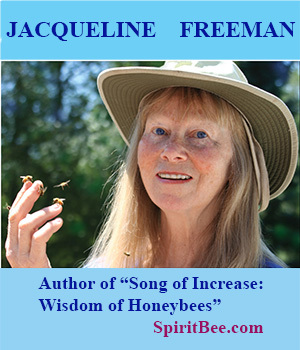 Jacqueline attended conventional bee school and immediately knew there must be a different way to care for bees that is more respectful, more compassionate, more like the way feral bees live. 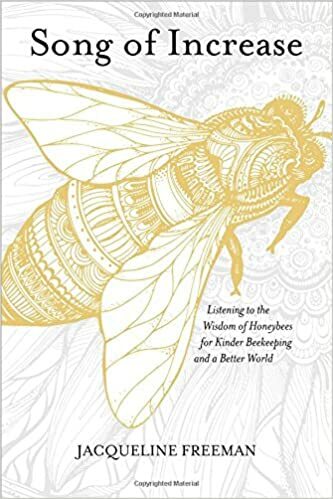 A few years later she began teaching this bee-centric approach in her classes, blending natural beekeeping and bee-driven insights into the nature of bees. Jacqueline speaks and teaches about bees at events including the Organic Beekeepers Conference, NW Permaculture, Women’s Permaculture Conference, Women in Agriculture. Jacqueline has written magazine articles for Biodynamics, Lilipoh, Home Orchard Society, Living in the Northwest, a chapter for the Queen of the Sun book, and appeared as the gentle swarm-mover in the documentary “Queen of the Sun.” In 2013 she was invited by the Dominican Republic to work with rural beekeepers to help them learn organic and biodynamic methods to care for their bees.